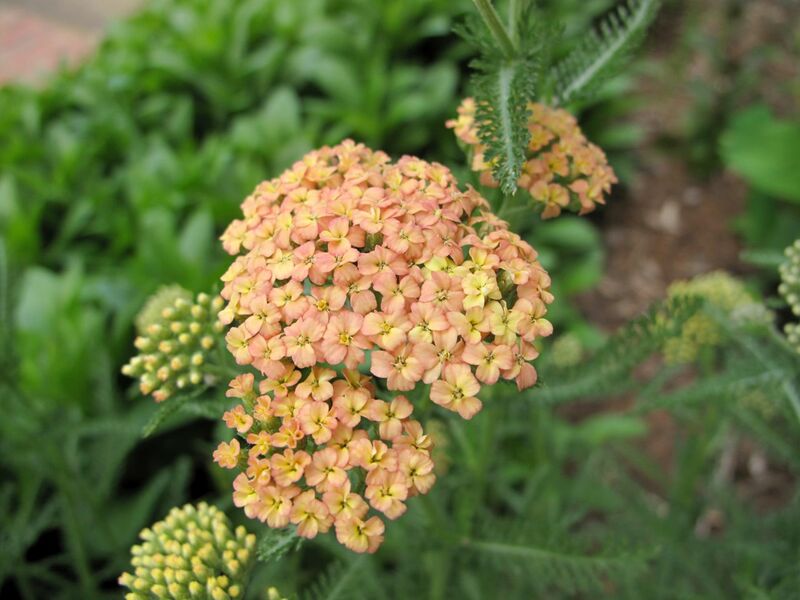 Ooh, that Achillea is so very pretty! 🙂 A perfect rose too. I like that achillea but it doesn’t look nice for long. 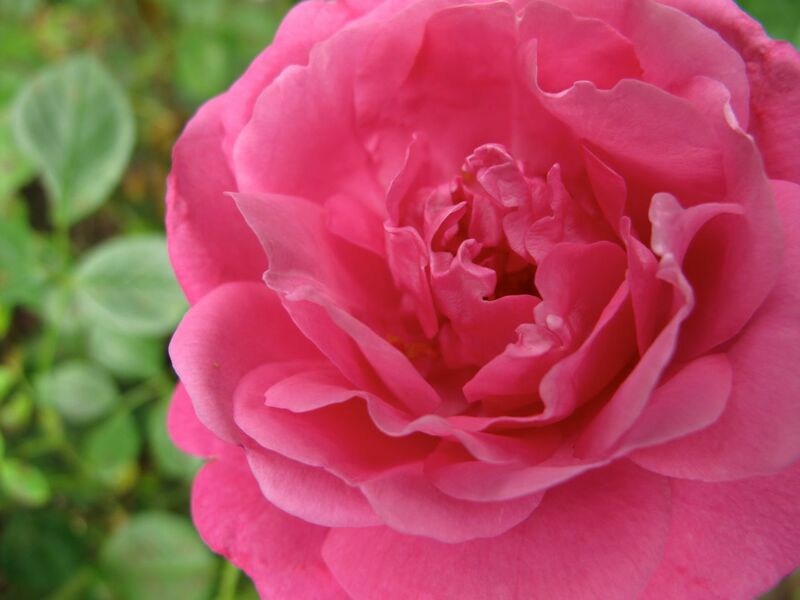 Most of the roses are done, the heat is too much for them. Glad I found one to remember for this spring. Penstemon mexicali ‘Pike’s Peak Purple’ is a gorgeous colour, it looked different in hte post the other day; just proves that the light makes all the difference. These beauties definitely don’t need words – they are just gorgeous. I do not have Beardtongue but have the others although my roses and hydrangeas are really struggling after the winter they lived through. One of my roses has a single leaf on it, but I can’t bring myself to toss it so I’ll see if it can come back. Thanks Judy. Hope your roses and hydrangeas pull through. It’s heartbreaking to lose them. 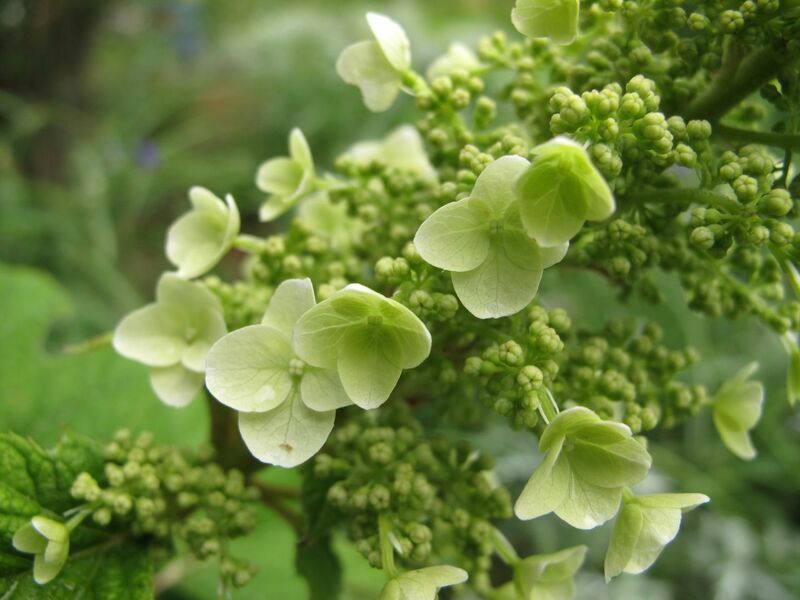 My mophead hydrangeas have plenty of nice green foliage but the buds were ruined again this year by a late freeze, so no blooms again this year. Yes, but the summer heat and humidity are making it tough already for the flowers. They blooms don’t last very long. Lovely Susie, How hot are your temperatures now? Hi Julie. Thanks! It’s better today–85°F (29°C) instead of yesterday’s nearly 90°F (32°C). My garden’s in full sun at midday so had to come inside a few minutes ago. Gives me a break from weeding and mulching. I’m appreciating our cooler weather…wish I could send some your way. Lovely photos. Thanks for your offer Rickii, if you figure out a way to do that what fun we’d have. I like that Penstemon mexicali, very different from the Penstemon in my garden. 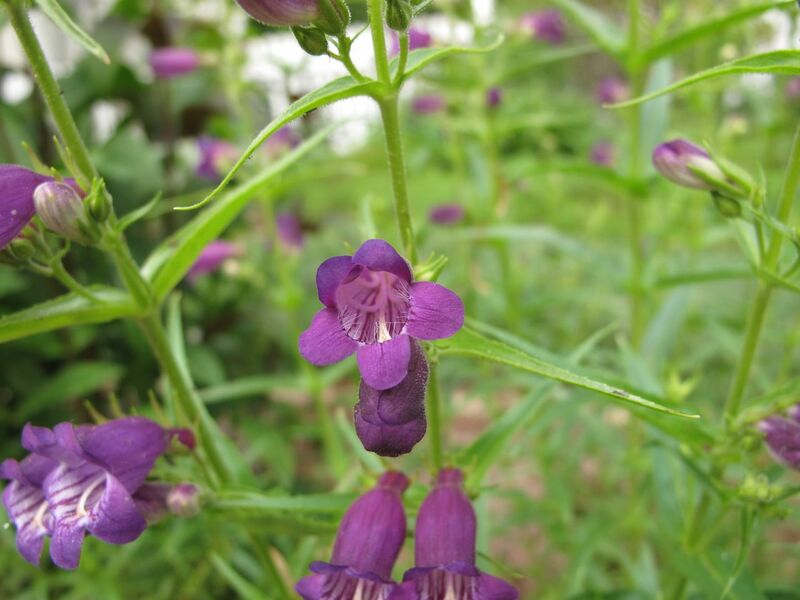 I planted Pike’s Peak Purple penstemon in my labyrinth when it was first completed, thinking I was done and these plants would just behave. Its color is really nice, but unfortunately only one remains. Husker’s Red on the other hand has been self-seeding prolifically.